Whether you're carrying out maintenance, tightening bolts during a pre flight check, or simply attaching your propeller, you're going to need a torque wrench. A torque wrench will prevent shearing of nuts and bolts on your paramotor, and it will ensure they're tightened according to the manufacturers recommendations. I made the mistake of guessing how tight my bolts were for a while, and I paid the price by loosing my reduction and propeller mid-flight! I've also heard stories of pilots sheering propeller bolts, and losing vital parts in the air. In this post we'll look at what torque wrench you'll need for your paramotor, and why you shouldn't guess your torques. I'll share with you the torque wrench that I'm currently using, and we'll look at your other options. I'm recommending the bikehand digital torque wrench (link to amazon) for paramotor assembly and maintenance. Check it out at the link, or keep reading to find out why! What the heck is a torque wrench? If you're unfamiliar with torque wrenches then you're not alone. Many pilots guess the torques of their bolts, and have no idea that there is an important tool needed for the job. A toque wrench is used to help you gauge how much force you are using to tighten a nut or bolt. When using a regular wrench or allen key, there's no way of telling exactly how much force you're using. This leads to damaged tools and bolts, and could leave you with a sheared bolt that is very difficult to remove. In your maintenance manual you will see a list of torque settings similar to the table below. The values listed in Nm, or newton meter, refer to the amount of force you will need to apply to each corresponding bolt to tighten it to the correct torque setting. You can see that some bolts require a very small amount of force, these are usually the smaller nuts and bolts, and others require a much higher torque. When choosing a torque wrench to use with your paramotor, it's important to choose one that covers the range that you need. Unfortunately, you won't find a torque wrench that caters for both low and high torques, so you will probably need two torque wrenches. For example, smaller bolts like propeller bolts will only need 6-7 Nm of force, so you will need a torque wrench that covers the lower range. But a torque wrench that works for values this low will only be suitable for torques up to about 25 Nm, and will not stretch to the higher values in the 45 Nm range. covers the lower values: in general 2-25 Nm is the most common range for paramotors, and this should suit most brands. Digital readout: this isn't essential, but it's my preference as they're much more accurate, easier to use, and they have more options; like storing torque settings, and switching between different torque units. Backlit display: if you also look for a digital readout, be sure to get a torque wrench with a backlit display. 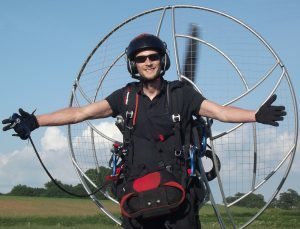 When you're assembling the paramotor early morning in low light, or in a dim garage you'll be glad of it. 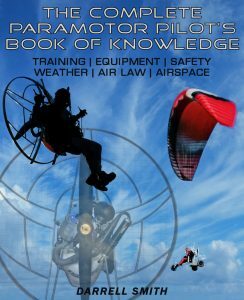 Torque units: you'll find that different paramotor manufacturers quote torque settings in different units in their manuals. This is why you should look for a torque wrench that has more than one option - the more the better. This way you won't have to buy a new wrench if you get a different paramotor. Digital torque wrenches will have the most options, look for Nm, Kg-cm, lb-ft, and lb-in. When you head to the field you'll want to take a torque wrench for your propeller bolts and pre-flight bolt check, so you'll want one that covers the lower range. Bicycle torque wrenches are perfect for this, but you'll want a good quality wrench that's accurate and calibrated. There are many different types of torque wrench, but I always lean towards the digital type for a nice, clear and precise readout. The digital types tend to be more expensive, but if you cheap out you'll inevitably loose quality and accuracy, which isn't ideal when it comes to assembling a machine that your life depends on. The 1/4 " bikehand digital torque wrench (link to amazon) pictured above, goes down to 1.25 Nm and stretches to 25 Nm, so it's perfect for most of the bolts on your paramotor. It's compact so easy to transport to the field, and the digital readout is accurate to +/- 3%. Digital torque adapter: a cheaper option is a digital torque adapter, that will fit onto the end of a regular ratchet. These are a good option for most paramotor assembly requirements, but beware that they will lengthen the wrench, and they may not fit into smaller spaces. Check them out on Amazon HERE. Click wrench: another wrench option is the click-wrench type, which will click or slip once the desired torque is reached. These tend to be cheaper, but will loose their accuracy much quicker, so regular calibration is required. Beam and pointer wrench: stay away from beam and pointer type torque wrenches for paramotor assembly, as they simply aren't accurate enough when used on the lower range of torque settings. These torque wrenches are more commonly used for automotive purposes. I mentioned earlier that you will need a second torque wrench to cover the bolts that fall outside of the range of the smaller wrenches. Things like engine securing bolts, exhaust nuts, and larger bolts above 8 mm in size usually require more force. You'll want to step up to a 1/2" drive for more strength, and remember that accuracy is just as important. This second wrench will be used much less so you may wish to spend a bit less and buy an analogue type. Always keep it in its case to protect it and avoid damage. If you're using a click type torque wrench, release the tension on it after use. Failing to do this can result in the torque wrench loosing its accuracy. Do not drop it or use it as a hammer! A knock can put the wrench out of calibration and lead to inaccurate tightening of nuts and bolts. Do not use your torque wrench for loosening bolts, use it for tightening only. When it comes time to remove a bolt, use a regular socket wrench, spanner, or allen key. Have your torque wrench calibrated periodically, especially if you believe it's become inaccurate. When it comes to paramotoring, correctly torqued bolts are very important, so always keep the wrench functioning as it should. 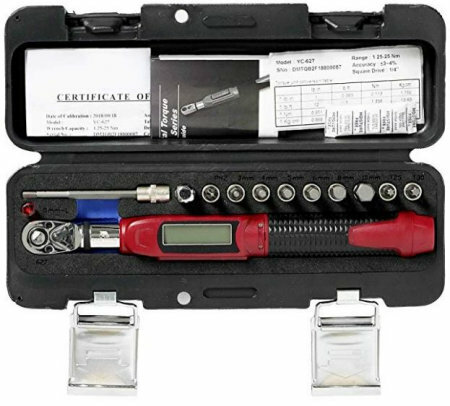 Ready to get your torque wrench? You should now have a better understanding of what torque wrench you'll need to assemble and maintain your paramotor. This is an important tool, so be sure to get one and use it every time you assemble and pre-flight your machine. When you have your torque wrench, GO HERE to find more tools and equipment to take to the field with you.